Don't worry if you broke the spray trigger on your spray bottle, these spray bottle triggers are professional grade and will easily replace or upgrade any standard spray bottle tigger. 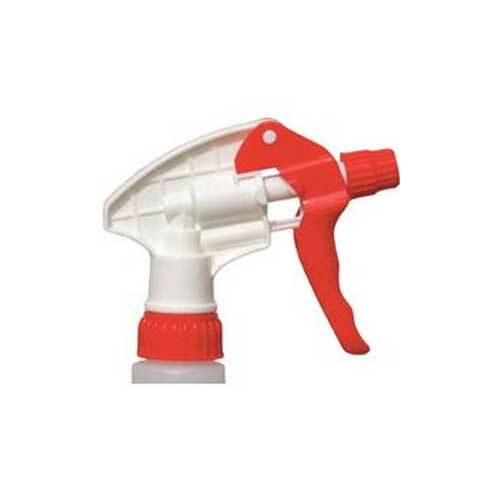 Red And White Trigger Sprayer Has A 9-3/4'' Dip Tube With A Leak Proof Nozzle. Adjusts From Full Off To A Focused Stream To A Fine, Atomized Mist. Designed For All Varieties Of Commercial And Industrial Use.